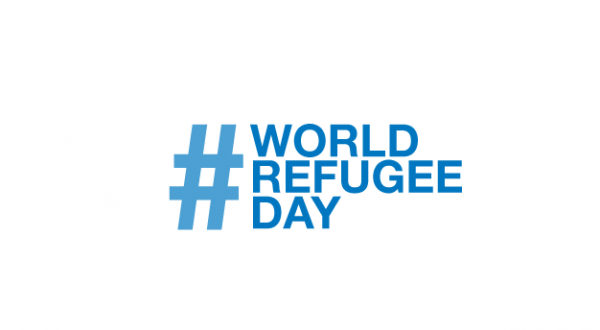 This Saturday marks the 14th annual World Refugee Day. First observed in 2001 to mark the 50th anniversary of the 1951 Convention related to the status of refugees, World Refugee Day is all about honouring what Save the Children describe as the “courage, strength and determination of men, women and children who are forced to flee their homeland under threat of persecution, conflict and violence” . In 2015, the numbers of those seeking refuge, and the challenges they face, are greater than ever. 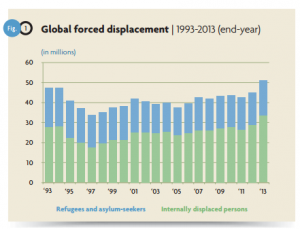 There are an estimated 51.2 million forcibly displaced people in the world today. 32,000 people globally are forced to leave their home every day. The unfolding humanitarian crises in the Mediterranean and Indian Ocean, where hundreds have drowned trying to escape persecution, tragically underscore the ongoing plight of the refugee. It also highlights the urgent need to take action and give them the help they so desperately seek. Refugees: According to the UNHCR, a refugee is someone who has fled their home due to“a well-founded fear of persecution because of his/her race, religion, nationality, membership in a particular social group, or political opinion”. Asylum Seekers: A person who regards themselves as a refugee but whose claim “has not been definitely evaluated by their host country” (UNHCR) There are believed to be over 1 million people seeking asylum in the world today. Internally Displaced Persons (IDPs): People who have fled their homes but have stayed in their country and not fled abroad. Stateless People: Stateless people have no recognised nationality and therefore do not officially belong to any country. The Rohingya in Burma have been made stateless by the Burmese Government, having had their citizenship evoked and rights steadily curtailed. Returnees: These are the people who return to their homeland after a period of exile. Returning can come with its own set of challenges, such as integrating back into the community and rebuilding their lives after years of forcible disruption. Record numbers, a growing crisis. Last year, for the first time since World War Two, the number of refugees passed the 50 million mark. If displaced people had their own country, it would be the 24th most populous in the world, having a bigger population than Spain, Canada, or Australia. Aid organisations are said to be at breaking point. Thanks to budget cuts, many have to try and meet the growing need of the increasing populations of displaced peoples with significantly less resources. For example, earlier this year, the World Food Programme stated that it will have to cut food rations for over 150,000 refugees in Uganda to cope with the budgetary strain imposed by reduced funding. “Reducing rations is a last resort to ensure we can continue providing life-saving support for the most vulnerable refugees,” said WFP Country Director, Alice Martin-Daihirou, adding: “We urgently need more funding to restore full assistance to people in Uganda who have no means to feed themselves.” Meanwhile, Antonio Guterres, head of the UN Refugee Agency, has spoken of humanitarian groups being under “tremendous stress” as they try to cope with the “quantum leap in forced displacement in the world”. As the vast majority of refugees (86%) live in the developing world, the challenge of addressing their ever-growing humanitarian needs falls on the world’s poorest. With many of these countries lacking a robust state infrastructure to care for the large numbers seeking refuge, the strain on aid organisations trying to plug the gaps is huge. Conflict is one big reason for this huge increase in the numbers of the forcibly displaced. In the past two years, 2.5 million people joined the growing ranks of refugees, the highest number since 1994. The crisis in Syria has accounted for a lot of this. By the end of 2013, an estimated 40% of the population had either fled abroad or had become internally displaced. Fresh violence in South Sudan and Central African Republic has also fuelled the forced migration of large numbers of people. The changing nature of warfare in recent years has exacerbated the refugee crisis. A century ago, civilians accounted for around 5% of all wartime casualties; today that figure is 90%. Modern conflict isn’t as state-centric as it once was. Today, there can be many different types of non-state actors engaged in conflict, such as religious and ethnic militias, insurgents, and organised crime. Not bound by the same international laws as states, some of these actors will have less respect for the rights and wellbeing of refugees, and those trying to help them. For example, in South Sudan last year, six aid workers were killed by a militia group known as the Maban Self-Defence Force, in what appears to have been an ethnically motivated act of violence. Aid groups were forced to evacuate workers out of the Maban region, leaving the 127,000 refugees there without humanitarian assistance. With the forcibly displaced and those trying to help them becoming more legitimate targets in the eyes of warring parties, there has been a ‘shrinking of the humanitarian space’ as aid groups are finding it harder and harder to gain access to those in need. Needless to say, states have also shown a flagrant disregard for the rights of refugees. For example, in Burma’s Kachin State, the Burmese Government has gone to great lengths to limit humanitarian groups’ access to the 240,000 internally displaced people living in the region. For decades, the Burmese Government has also been repressing the Rohingya ethnic minority group, forcing them to flee the country in their thousands. Climate change, resource scarcity, urbanisation, and demographic pressures are just some of the reasons main reasons that drive people to seek refuge. These often intersect and enhance one another, something that makes challenge of tackling the refugee crisis at its root all the more difficult. For those providing humanitarian relief, more often than not, they can only react to events as they unfold. The lack of any political solutions on the part of states and the wider international community, as well as aid groups on the ground having to deal with an increased resource-needs gap, means that many refugees are left falling through the cracks. Human trafficking is booming. With high numbers of refugees living in densely packed, insecure and resource-scarce camp, they are vulnerable to “increasingly sophisticated” human traffickers, with sexual slavery, organ harvesting, and the forced recruitment of child soldiers three of the biggest drives behind this growing illicit trade. One such example of this is in Yida refugee camp in South Sudan, where some 70,000 Sudanese refugees have been housed since violence broke out in the South Kordofan and Blue Nile regions in 2011. 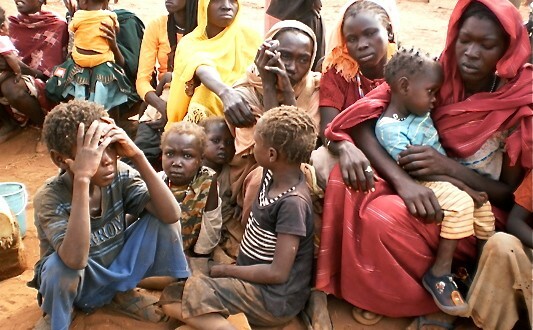 The camp is believed to have been targeted by rebel fighters group, the Sudan People’s Liberation Army (SPLA), as a recruitment ground in their conflict with the Sudanese Government, with the U.S. Government ‘requesting’ they stop using the camp to enlist child soldiers back in 2012. If they escape the clutches of human traffickers then refugees can still be vulnerable to the outbreak of diseases that can spread quickly in the cramped, crowded and unhygienic conditions of the camps. Since last November, Yida Camp has been grappling with a measles outbreak that aid groups are struggling to contain. “In a refugee setting, one single case of measles is considered an outbreak,” says Ahmed Mohama Mahat, MSF’s vaccination coordinator in Yida,“And these people arriving in Yida from the Nuba Mountains are in very bad conditions; they have not been vaccinated for a long time”. The spectre of malnutrition is another source of concern for those in the refugee camps, and, as in the case of the breakaway Nigerian state of Biafra in the 1960s, can quickly turn into a humanitarian catastrophe. On this World Refugee Day, with currently a record number of forcibly displaced people, the highest in 70 years, urgent action is required to meaningfully address the crisis. Humanitarian assistance is crucial in providing aid to those who have fled their homes and are now trapped in a vulnerable and precarious situation. However, in the face of cutbacks and increased demand, many of these organisations are being overwhelmed. Political solutions are therefore required to deal with a crisis that is inherently political, involving governments at the national and international level, as well as the concerted action of the global civil society to pressure them into action. Whether it’s preventing and resolving conflicts, tackling climate change and environmental degradation, or reducing inequality by redistributing wealth and resources, solving this issue will require cooperation and solidarity at all levels. 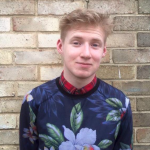 Jack is a Politics and International Relations student at the University of Bath. He is passionate about human rights, especially in the context of gender and sexuality, and is interested in the changing nature of conflict and security in the 21st century.